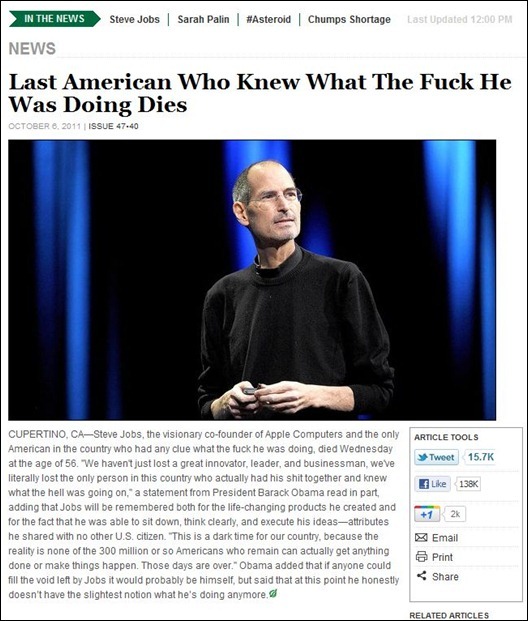 The Onion had a great short article memorializing Steve Jobs today and it says it all while still being funny as hell. Epic win. This entry was posted on Friday, October 7th, 2011 at 3:00 am	and is filed under Apple, Tech News. You can follow any responses to this entry through the RSS 2.0 feed. You can leave a response, or trackback from your own site.